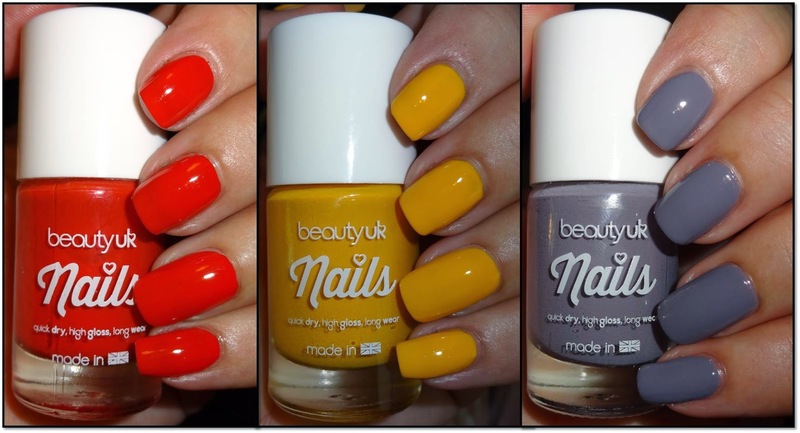 Here's some fun, punchy nail polishes from Beauty UK one's hot, one's mellow and one's cool! A hot red called Coral Burst, a sunny yellow called Daffodil Delight and an uber cool grilac called Smoke Signal. A colour for everyone here, fab colours for Autumn. These are all 2 coaters, they adhere excellently to your base coat with hardly any bleeding, the polish goes exactly where you paint it. Affordable and highly recommended.